Solid wood countertops for islands or kitchens are a fantastic alternative to the traditional granite, corian or cool stone countertops. They provide a warmth and character that other materials cannot match. A butcher block wooden countertop makes for the perfect breakfast bar, kitchen countertop, basement bar, or any other countertop in your home. 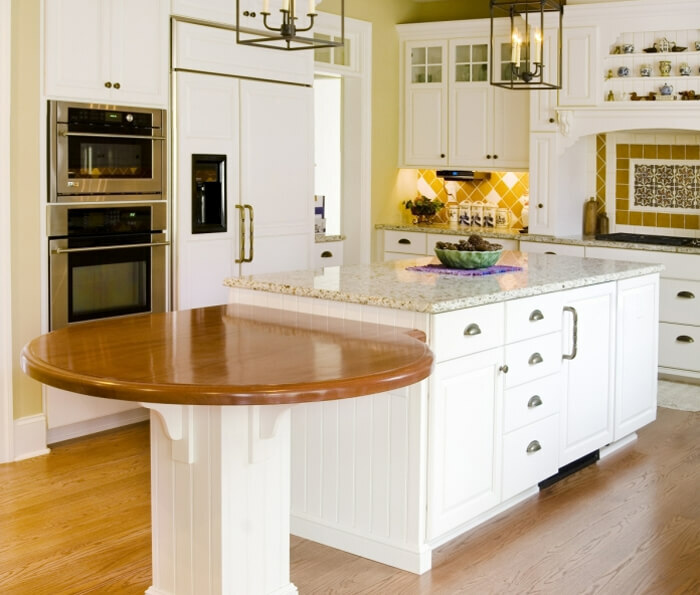 As a natural product, wooden countertops and island tops offer beauty and durability. Each top is individually handcrafted by Joel Bare to display the wood's unique character and grain. 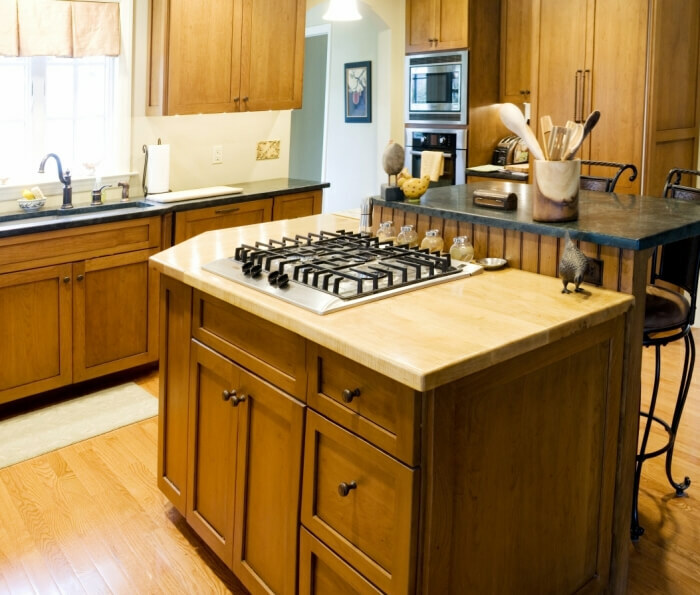 Wooden countertops also offer a warm accent to traditional countertop materials, stone, granite, and solid surface. Face grain countertops show off the wood's beauty and are great for a decorative countertop. They are constructed using the width of the board and the top of the grain shows the natural swirls and ovals of the wood pattern. We only use full-length boards. 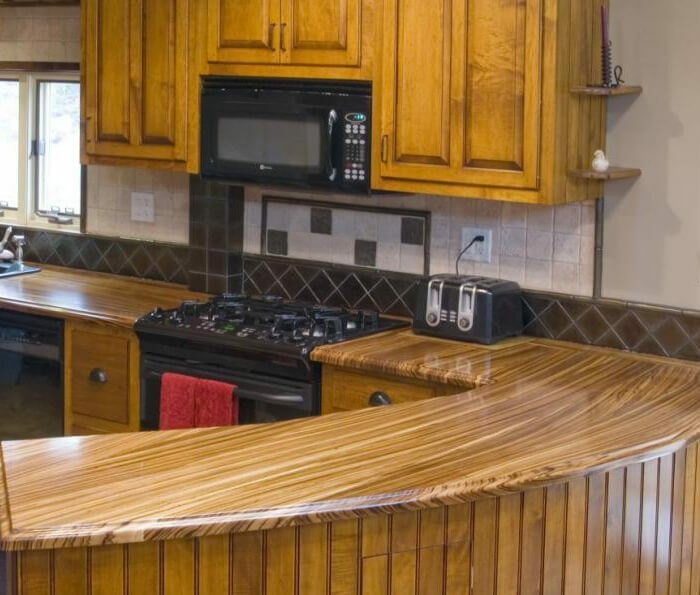 These wood countertops are more likely to be used for islands as it's not suited for chopping or cutting. It does, however, provide a beautiful, elegant look to any kitchen island or any other wood countertop that isn't used for a chopping surface. Edge grain wood countertops are usually constructed using strips of wood cut from wider boards which are then arranged on edge and then joined together. Straight grain lines will be noticeable along the length of the wood. After its construction, edge grain makes a fantastic hard and stable surface for countertops and kitchen islands. Wood Bar tops add a special touch to bars in homes. Our custom handcrafted wood bar tops can be built to your specific dimensions creating a one of a kind piece. Ever dream of having that perfect Irish pub-style bar in your basement? We've got you covered. We have the skill to create any look desired and will work with you to ensure your new wooden bar top meets your every want and need. 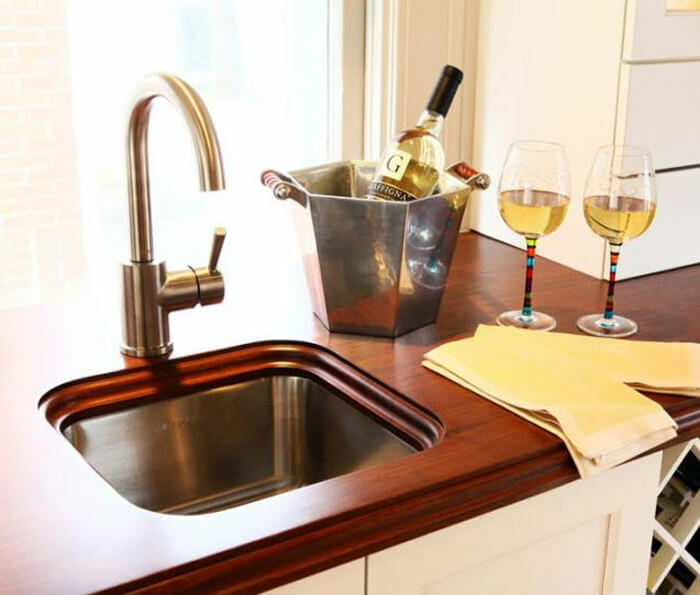 Wood countertops can help transition a traditional or country kitchen or bar area into a cozy gathering space. They provide character and a warmth that are both unmatched by other types of material. From a wooden countertop on your kitchen island, to a wooden bar top on the bar in the basement, Joel Bare will give you the perfect piece to tie your room together.